QUESTION – What is the JLPT? ANSWER – The Japanese Language Proficiency Test is held twice a year (may only be once a year in some countries) all around the world. It is the most popular test of Japanese ability for non-native students of Japanese. 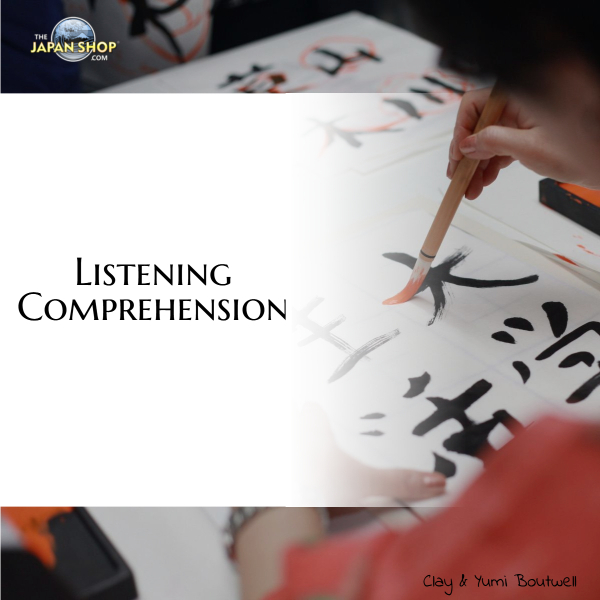 It focuses on reading ability, vocabulary, listening, kanji, and grammar. The answers are all multiple choice and you must use a pencil. JLPT certification can help improve your chances for getting into a Japanese university, finding a nice job relating to Japan or Japanese, or simply for bragging rights. Most people, however, take the test to measure their ability. It is a great way to spot your weak points too. When : In Japan the first Sunday every December. It may be different depending on your location. The applications are accepted from August to September. When are the results given : in early February. And yes, it is a long 2-3 months to wait! You will probably forget about it by the time it comes. If you pass, you will receive a nice certificate saying so. Where can I buy resources : We now offer at our shop study guides and actual tests with CDs of past tests . Please visit: http://www.thejapanshop.com/ to see what we have. About: The easiest. For beginners who can make easy conversations and understand simple written Japanese. About: The next level. For upper beginners who understand the basics of grammar, can make everyday simple conversations and can read easy written Japanese. About: Fairly difficult. For intermediates who understand advanced grammar & kanji, can participate in a range of daily conversations and can read common Japanese texts fairly well. About: 超 difficult. Advanced grammar and all kanji in use. Ability to use Japanese in business or university settings. Being the most prestigious of the 4, it is also the most difficult. You need 70% to pass this time! I have taken both ３級 and ２級 . Both times I thought I had failed and both times I miraculously passed, and I do mean miraculously !! Please check out our TheJapanShop.com for prep books for the JLPT – The grammar books have practice tests as well as specific grammar points that often appear on the tests. I cannot speak from experience about 4 級 but I have heard that people who have only studied Japanese even a few months can pass it. Most JETs [foreigners hired to assist Japanese English teachers in schools in Japan] come to Japan in July. It is very possible to start studying in July and pass the test in December. It will take work, but it can be done. The first 100 kanji can be learned relatively easily + hiragana + very basic grammar. 4Kyuu – I took this in the year 1998 after 2 months of study and could pass with 84%. A little agressiveness and a proper teaching guideline will make this level very much possible. 3kyuu – I took this in the year 1999 and could pass comfortably with 80%. There is not much difference between 4 kyuu and 3 kyuu. Little more interest and dedication this level can well be achieved. But this level does not suffice carrying out a business in Japan. 2Kyuu – I took this in the year 2001 and could secure 70%. During this time I was staying in Japan. This helped me a lot. If somebody is staying in Japan and preparing for this level, my sincere advice is to watch Television regularly for 2-3 hrs everyday. This will help tremendously. One should have tremedous interest in kanji. For this adequate FLASH MEMORY is required. One should enjoy Kanji in this level. Reading comprehension is the toughest part in this level.But if one scores 100% in Grammar and Kanji, then it can balance the overall score. 1Kyuu – I am so desparate to clear-up this level, though I know the level of difficulty for this level. To pass this proffessional attitude is highly required, I believe. One should prepare a proper strategic plan before appearing the test. One should master all Kanji listed for 1kyuu. All my best wishes for all those who appears JLPT tests.